A gentle climb over untracked tussock land to this easy summit. 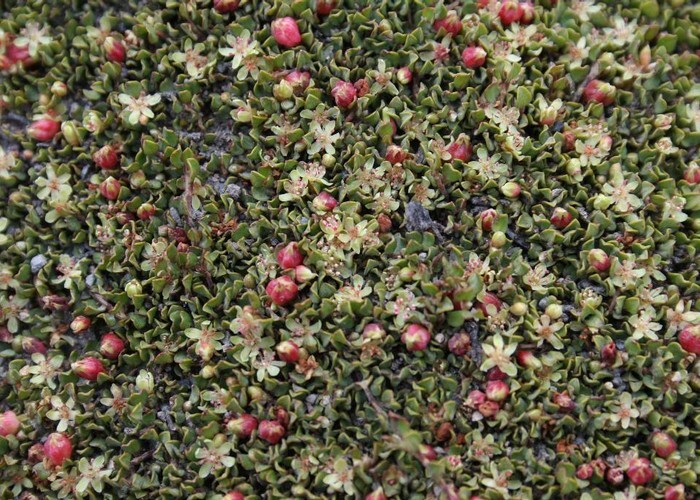 Muehlenbeckia axillaris • By Matthew. 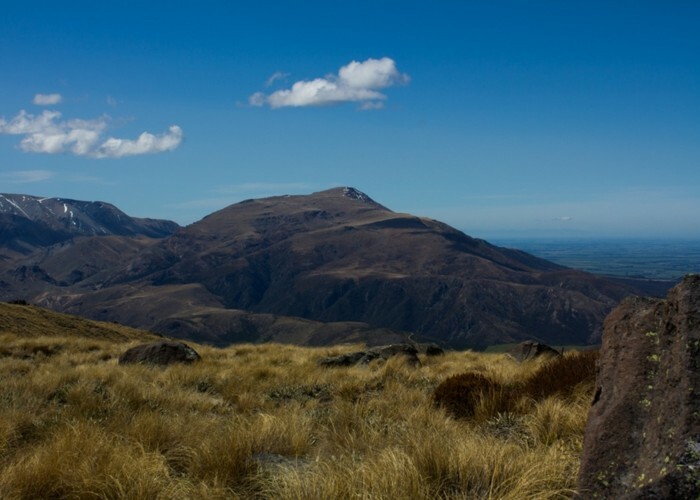 Mount Somers is an old rhyolite dome at the edge of the Canterbury Plains. It is generally steep-sided, with deeply-cut streams to the north and south, although an easy tussock slope leads up from the west. Mount Somers • By Matthew. Licence: C.
The mountain is ringed by the [[Mount Somers Track]], a good (popular) alternative to the summit route. The standard, marked route to the summit is from Sharplin Falls car park, although the route described here is from Woolshed Creek car park. Added 21 November 2008 by MatthewMatthew. 3 revisions, most recently 27 May 2013 by MatthewMatthew. 220 views in the past year (18 per month).